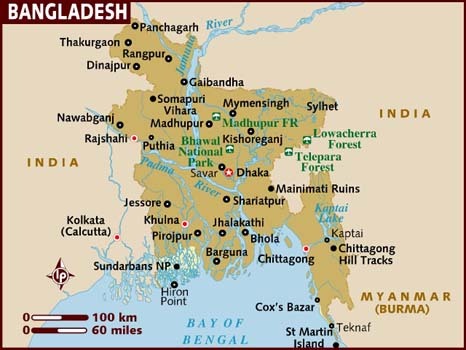 DHAKA– Two people were killed in election-related clashes in Bangladesh on Sunday, police said, following a deadly campaign marred by outbreaks of violence. "One person was killed from bullet wounds. We fired in self-defence," local police chief Mohammad Kamal Hossain told AFP. An activist for the ruling Awami League party died after he was beaten on the head by opposition supporters during a clash in the southeastern hill district of Rangamati. "He died on the way to hospital," local police chief Najibul Islam told AFP. The deaths brought to six the number of people confirmed by police to have died in violence related to Sunday's election which is expected to see Prime Minister Sheikh Hasina win a record fouth term. The weeks-long campaign was overshadowed by skirmishes between supporters of the Awami League and activists from the main opposition Bangladesh Nationalist Party (BNP). The BNP claims eight of its activists have died since the parliamentary election -- the country's 11th since independence in 1971 -- was announced on November 8.